Celebrate the start of the fall season on Salt Spring Island with crisp autumn weather, mouthwatering fresh produce and preserves, and don't miss this month's unforgettable experiences including the Fall Fair and the Apple Festival. See the change of the seasons in the island vineyards and fields, share in the island's bounty at the markets and farm stands, and taste the harvest at local restaurants! Now is the time to Feast on Salt Spring Island with an incredible harvest of delicious edibles. Try dozens of different tomato varieties, look for roadside squash, peppers, greens and fruit, dig into mouthwatering baked goods, sweet or savory pies as well as preserves sealed with a gardener's love! Find all these local goods and more at roadside farm stands, the Tuesday Farmer's Market, the famous Saturday Market as well as Salt Spring's independent grocery stores, Natureworks and Green! Salt Spring Pride Festival | September 5th to 9th | Celebrate Pride with a rainbow of colours and join the LGBTQ community at the 14th annual Pride Festival with fun events all weekend long culminating in the colourful Pride Parade and street party in Downtown Ganges! Salt Spring Island Pride Parade + Party in the Park | Saturday 8th | Parade: 1:00pm; Party: 1:30pm to 3:00pm | Starts: Salt Spring Island Public Library - Ends: Centennial Park Gazebo | Celebrate Pride with a fun and colourful parade through Downtown Ganges culminating in a party in the park! Charcuterie Workshop | September 8th & 9th | 9:00am to 6:30pm | $742 per person | Bullock Lake Farm: 360 Upper Ganges Road | This weekend, Meredith Leigh - farmer, butcher, cook, and author - will be teaching an intimate group of students to confidently cure meats via salting, dehydration, smoking, and fermentation. We will begin with a half hog, and spend two days turning every scrap of it into charcuterie, from fresh sausages to smoked hams, pates and hard salamis. It's your last chance to peruse ArtCraft before it closes for the season on September 16th! Browse work by artisans across the southern Gulf islands in a wide range of mediums. Open from 10:00am to 5:00pm daily at Mahon Hall (114 Rainbow Road). Music Under the Stars at The Tree House Cafe is wrapping up! Catch the last few sets before the final act for the season on September 16th! 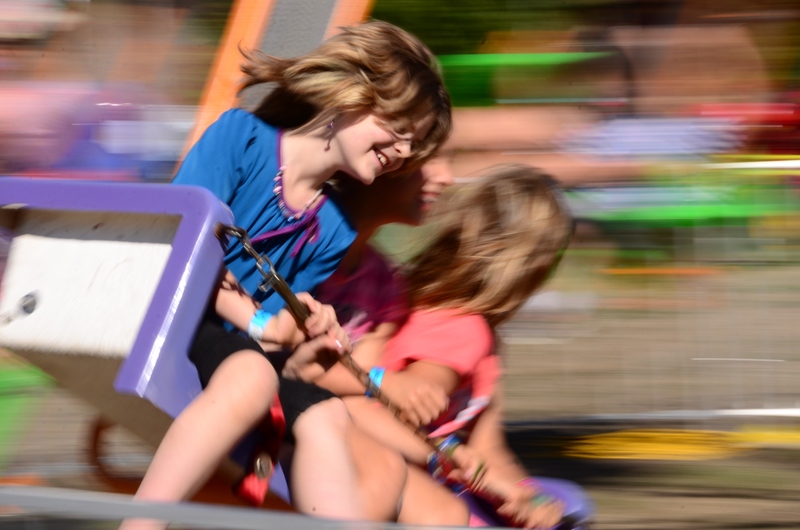 Salt Spring Island Fall Fair | Saturday 16th & Sunday 17th | 9:00am to 6:00pm | Salt Spring Island Farmers’ Institute: 351 Rainbow Road | Free - $13 | Experience one of Salt Spring Island's most popular events! Hundreds of people wander through dozens of exhibits showcasing all sorts of farm animals and enjoy demonstrations ranging from sheep shearing to sheep dogs, entertainment, mouthwatering foods (including famous pie! ), experience the excitement of the zucchini races, be awed by the giant pumpkins and admire homemade preserves, crafts and much more! An event not to be missed! The 2018 theme is "Home Grown, Handmade & Farm Fresh!"! PitchFork Social: Mike Farris | Thursday 20th | 7:30pm to 10:30pm | Bullock Lake Farm: 360 Upper Ganges Road | $40 | Mike Farris returns to Salt Spring! He’s toured as lead singer for the Southern Rock Band Screaming Cheetah Wheelies, and following the demise of blues & rock legend Stevie Ray Vaughn, as the lead singer for the incomparable blues band, Double Trouble. In his solo career he began to rediscover and reinterpret traditional black spiritual music by adding his own mix of vintage southern soul. For his efforts, Farris won the prestigious Americana Music Award for Best New & Emerging Artist, a Dove Award for Best Traditional Gospel Album of the Year and a 2015 Grammy award for Best Roots Gospel Album. Westcoast Work Boat Association Fall Rendezvous | Saturday 21st to Sunday 23rd | Kanaka Dock: 127 Fulford Ganges Road | Walk the wharves and see some of the many working boats of the West Coast. Meet the captains, learn about their history and see why they continue to be a popular part of our seafaring heritage. Terry Fox Run | Sunday 23rd | 10:00am | Starts: Rainbow Road Public Pool, 262 Rainbow Road | By Donation | Honor one of British Columbia's most inspiring figures, Terry Fox, at the Salt Spring Island Terry Fox Run - take part in the 8km or 4km course. Shane Koyczan | Friday 28th | 7:30pm to 9:00pm | Artsping: 100 Jackson Avenue | $35 | Shane Koyczan internationally renowned spoken word artist, poet, and author. The world took notice when his influential anti-bullying “To This Day Project” video that went viral in 2013 with over 14 million views and counting. Koyczan emerges as a new wave of 21st-century poetry that dares to belong to the people and speak directly to them in their own voice. Vetta Presents the Vetta String Quartet | Saturday 29th | 7:30pm to 9:30pm | Artsping: 100 Jackson Avenue | $5-$20 | The Vetta pros return with a classic program of Haydn, Mendelssohn and Ravel. Bike it! Pedal your way through the scenic bike routes of the Island, along heritage orchards, beaches, parks and farms! meander south to Ruckle Provincial Park or take the challenging figure eight which rounds the entire island in 50 kilometres. Tired? Hop on a Salt Spring Island BC Transit bus with their convenient bike racks (note: only room for two!) to help you along your way! Hike it! Leg power more your style? Salt Spring has trails for all ages, difficulty levels and lengths for even the most discerning hiker. Some of our favourites include Mount Erskine (perfect for a tough workout! 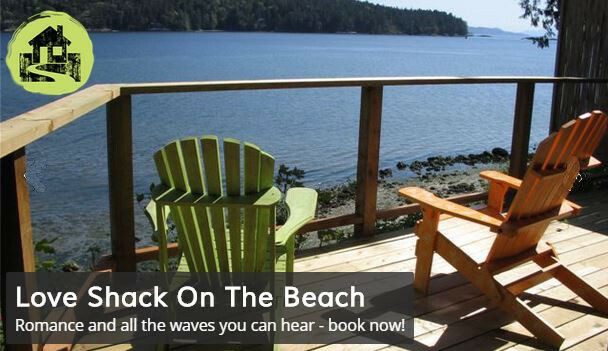 ), Ruckle Provincial Park (for the idyllic farm and Gulf Island views! ), and Reginald Hill (with fantastic southern views and Garry Oak ecosystem). Salt Spring Island Apple Festival | Sunday 30th | 9:00am to 5:00pm | Display: Fulford Community Hall, 2591 Fulford-Ganges Road, Various Locations across Salt Spring Island | This is an event not to be missed! 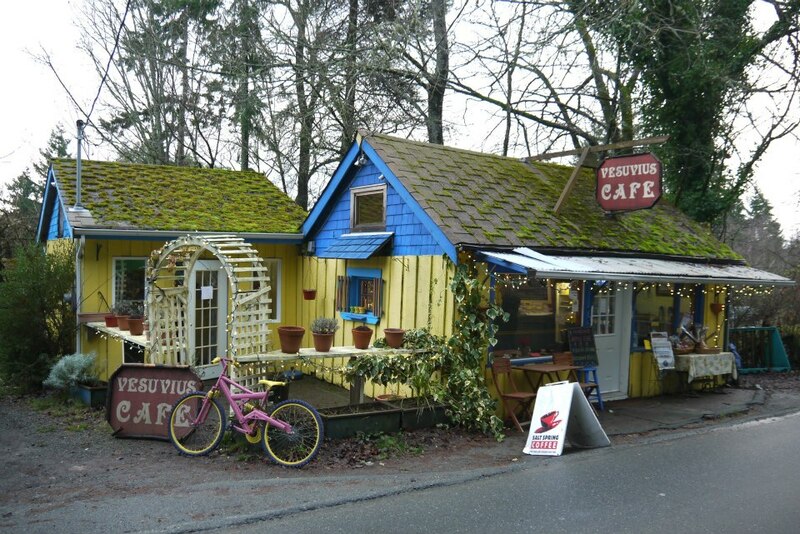 Come celebrate Salt Spring Island's apple growing history (dating back to 1860!) at the Salt Spring Island Apple Festival which includes apple displays (showcasing some of the 450 varieties of apples grown on the island), farm tours, apple tasting, food, bring apples from your own garden for identification and much more! Can't get enough of Salt Spring Island apples? You'll love them more in liquid form at Salt Spring Wild Cider! Explore the Cider House (151 Sharp Road) which showcases the incredible variety of heritage apples on the island. Open daily and offering ciders including dry, semi-dry, pear, farmhouse scrumpy, plum, bitter orange rosemary, elderberry-flower, hopped apricot, ginger root, burnt apple tequila, wild berry and ice cider (while supplies last!). Enjoy a bottle or a tasting and dine on tapas at the cider house gardens which boast spectacular views of the valley and surrounding orchards. Xwaaquw’um Trail Runs & Cultural Celebrations | Saturday 29th | Burgoyne Bay Provincial Park: Welcoming Poles | Trail runs include kids 1K and a 5K, 12K & 23K. Educational activities include cedar weaving and traditional plant identification and uses as well as a salmon dinner (register ahead)!